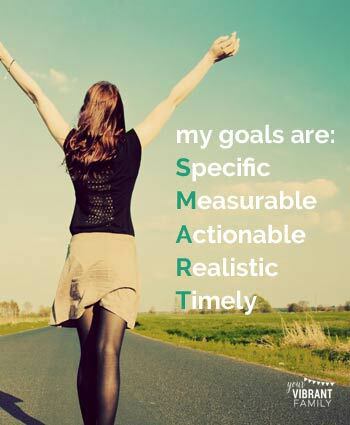 >> What is SMART Goal Setting? 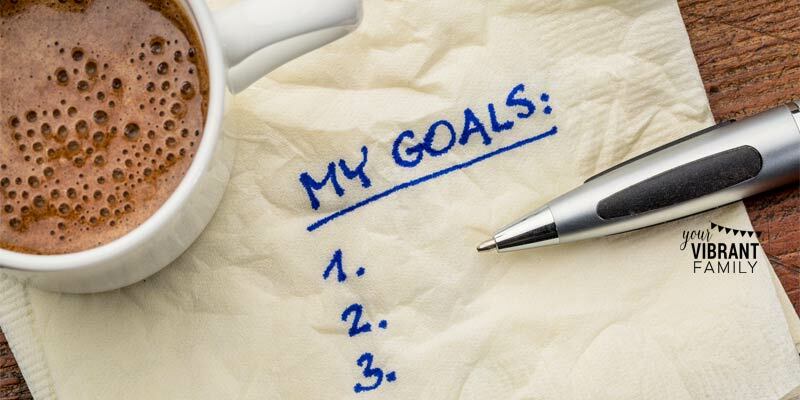 Whether it’s New Years or anytime you’re ready for a fresh start, goal setting is always a good idea. Time and again I’ve found that the SMART goal setting method is one of the best ways to not only set goals but achieve goals. What is the SMART goal setting method? What are some great SMART goal examples? 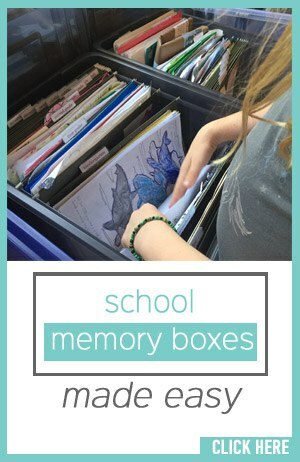 And where can you get free SMART Goal Setting Worksheets? Let’s talk about that! Let’s look at what each of those terms mean when applied to SMART goal setting. When we set SMART goals that are measurable by date, time and the like, we are able to formulate a step-by-step plan to reach the goal. French writer and poet Antoine de Saint-Exupery famously said, “A goal without a plan is just a wish.” Oh how true this is! The “A” in SMART goal setting (“actionable”) is the vital distinction between a dream and a goal realized. Setting actionable goals means that we create a plan behind our vision. We work through the logistics of how the goal will happen. We must make our goals relevant to our situation (some have used “relevant” instead of “realistic” in their version of SMART goal setting). If Person A is a seasoned 20-year extreme hiker, it may be realistic for him or her to set the SMART goal of hiking Mount Everest this year. However, climbing Mount Everest would not be realistic goal for someone like me since I don’t hike regularly and am not fond of heights (nor extreme cold). In goal setting, nothing motivates me more than a deadline. How about you? There’s a reason why the final letter in SMART goal setting stands for “timely.” Bottom line, goals with specific deadlines (and consequences for missing those deadlines) are more likely to get done. 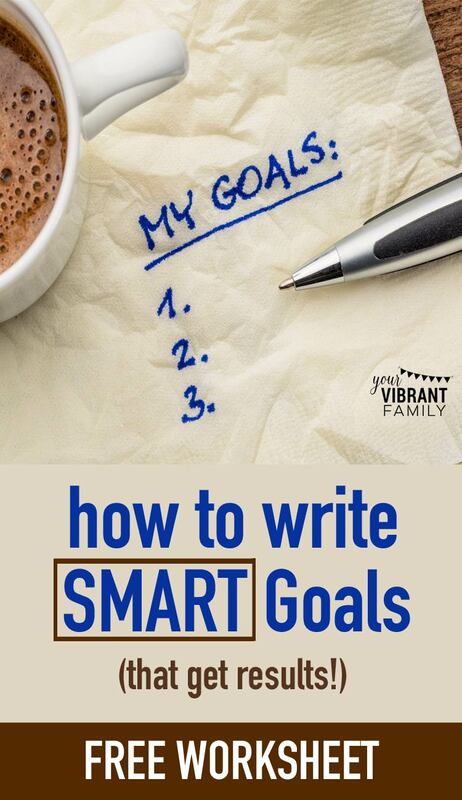 Need some SMART goals examples in order to fully understand how easy writing SMART goals can be? Sure thing. Let’s look at two fictional examples of SMART goals in order to better understand how this goal setting method can play out in real life. 1) GOAL: To lose weight. Let’s start with an easy goal that most of us may already have: The goal of shedding a few pounds. S (specific): I want to look better in my clothes and be in better health. M (measurable): I want to lose 20 pounds. A (actionable): I will lose the weight by following a healthy diet and working out 4 days a week. R (realistic): I will not expect the weight to be lost overnight. T (timely): I would like to lose the weight by March in time for my sister’s wedding. Do you see how this SMART goal example is specific, measurable, actionable, realistic and timely? P.S. Want a go here to free SMART Goals Worksheet? I created this SMART Goal Worksheet PDF so that you can easily set goals and achieve them using the SMART goal setting method! GO HERE TO DOWNLOAD THE FREE SMART GOALS WORKSHEETS. Make sense? Here’s another SMART goal example. 2) GOAL: To learn to play guitar. S (specific): I want to learn to play acoustic guitar. M (measurable): I want to be able to play in our church’s band on Sunday mornings. A (actionable): I will take guitar lessons at ABC Guitar and practice after work three days a week. R (realistic): As a beginning guitarist, I will not expect myself to know every chord, but I will attempt to learn the basic chords required for most songs the church band plays. T (timely): I want to have learned enough to start playing in the band by April 1. Don’t you love how simple (and powerful) the SMART goal setting method is? I want to make it even easier for you to set SMART goals by giving you a free SMART Goals Worksheet. This awesome freebie is exactly what you need to turn your goals from dreams to reality! DOWNLOAD THE FREE SMART GOAL WORKSHEET PDF HERE. Millions have used the SMART goal setting method to successfully plan and accomplish great things. If you have a dream or a goal (no matter how big or audacious it is) I encourage you to grab the free SMART Goal Setting Worksheets here (TK—LINK) so that you can take the first step to making that dream a reality! Click here to grab the free SMART Goal Setting worksheets. It’s my gift to you! And don’t forget to download your free SMART Goal Planning Worksheet PDF!